A few years ago, Mat Honan’s article about his experience of being hacked in Wired Magazine scared me into action. It described the gory details of the author having his digital life turned inside out to get to his desirable three syllable Twitter handle. This included having all of his devices wiped, including his personal Mac which didn’t have a current backup at the time. Ouch. It was a vivid reminder of how easy it is to not take security seriously because of how inconvenient it can be. 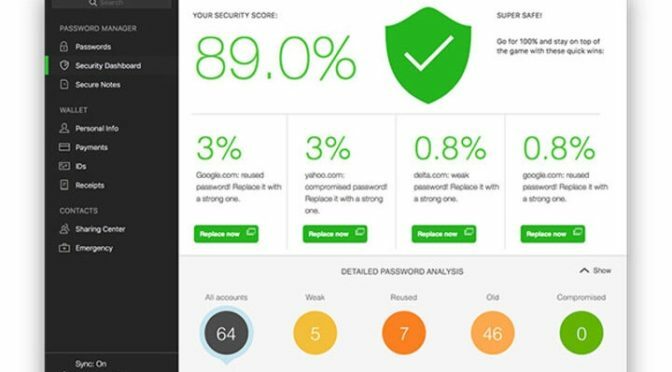 Because Mr Honan’s hack was partially based on the hackers being able to find a little bit of common data between some of his major online accounts, I almost immediately began searching for the best password management solution I could find. I had already been thinking about making the move to a password manager and figured that this was the perfect justification. After careful research, I chose Dashlane, and I am still a happy customer over five years later. At its core, Dashlane is a really easy to use password manager that works across all of your devices. It can automatically log you in to accounts on Windows or Mac computers, and can be prompted to enter password information on iOS and Android devices. Using encryption throughout the process, Dashlane syncs all account and password changes, and can handle basics like unique strong password generation, storing payment method information securely, and sharing passwords with others securely. However, it is actually quite a bit more than that. 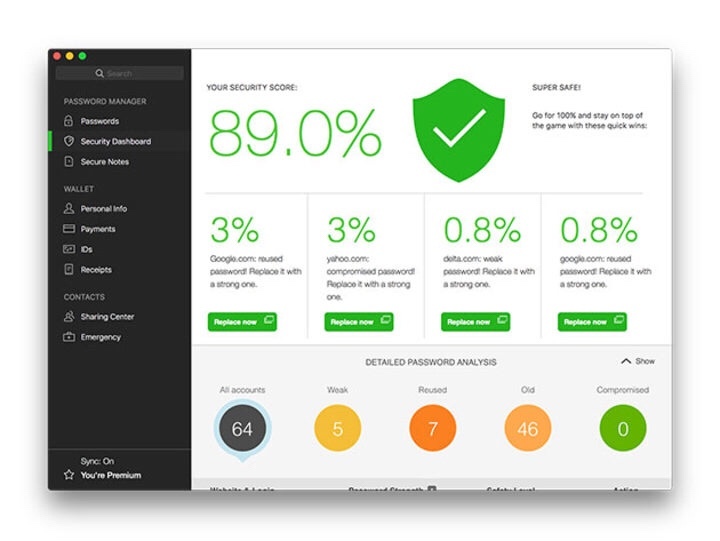 Dashlane will also warn you when any site you have an account with has a reported breach, it will calculate your “security score” and analyze your accounts for potential weaknesses, and can even automatically change select accounts for you, without any extra work on your part. Dashlane even includes optional two factor authentication for adding new devices to access account information securely. It is a comprehensive set of tools for securing your most important nformation. Out Deals site is offering a one year subscription to Dashlane’s Premium Service for only $19.98. This is 50% off the normal retail price of $39.96. As a paying user myself, I can’t recommend this service enough, especially at this price.